These iPads are in OK condition. They are from our Affordable Mac Standard Range. They will have light scratches on the case and maybe a small dent on the case but nothing bad. The screens will be in perfect condition and everything will be 100% working. Both 9.7-inch iPad Pro devices, this Cellular-equipped model and its Wi-Fi only twin, feature a fully-laminated 9.7-inch LED-backlit 2048×1536 (264 ppi, DCI-P3 color gamut) touch-sensitive “Retina” display with dynamic white balance adjusting “True Tone” technology as well as a fingerprint-resistant, antireflective coating. 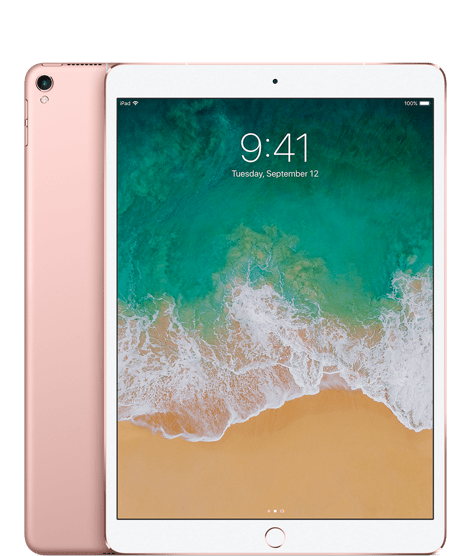 The 9.7-inch iPad Pro models are powered by an Apple A9X processor, have 2 GB of RAM, and either 32 GB, 128 GB, or 256 GB of flash memory storage packed in a Black and Space Gray, White and Silver, White and Gold, or White and Rose Gold case. Other significant features include dual cameras — a rear-mounted 12 megapixel “iSight” camera capable of shooting stills and 4K video and a front-mounted 5 megapixel “FaceTime HD” camera capable of shooting stills and 720p video, dual-band 802.11a/b/g/n/ac Wi-Fi with HT80 with MIMO capability and Bluetooth 4.2, as well as dual microphones and two sets of stereo speakers designed to automatically switch to the set that is least likely to be muffled by the user. Connectivity to computers, if desired, and power is provided by a Lightning port. A “Smart Connector” provides connectivity for a device-specific small Apple Smart Keyboard. Additional input also is available courtesy of an optional “Apple Pencil” (A1603, US$99), which provides a variety of pressure sensitive sketching and drawing options. The battery life of this iPad Pro model is reportedly very good “surfing the web on Wi-Fi, watching video, or listening to music.” and nine hours surfing the web using cellular data.